One of the very reasons why so many people decide to become digital nomads is due to all the advantages that this kind of lifestyle brings. You see, not being tied to an office desk is an advantage of its own, yet, for some reason, a lot of people lack organizational abilities to successfully cope with this kind of lifestyle. As a result, their productivity plummets, while they get none of the benefits. Still, with the right attitude and mindset to follow, you can adopt habits that will help you combine work and pleasure and become the real digital nomad. The first thing you need to keep in mind is that money gives you a certain level of freedom you can’t obtain without it. For instance, imagine a scenario where you went to a distant country for a couple of months. How would you sustain such a lifestyle? Well, there are several ways to do so and here are some of them. First, you can start your own business while on the run. For an online business, all you need is a terminal such as a laptop, a tablet or a phone and an internet connection. Next, you could try to get some work as a freelancer. Finally, while you’re not at home, you could rent out your place and in this way create an additional stream of income. 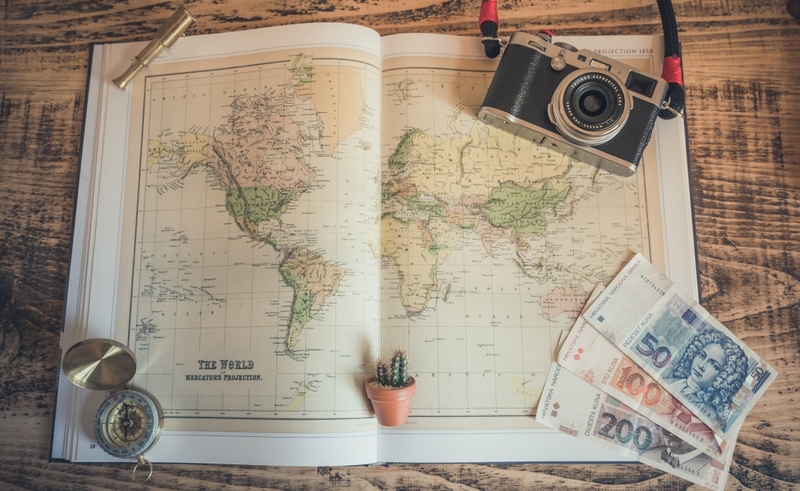 From a hypothetical standpoint, it is possible to travel all over the world with your pet but practically, this can cause a whole world of trouble for both of you. First of all, you will get constantly delayed, seeing as how your pet might be forced to undergo quarantine at certain locations, not to mention the process of immunization and handling different regulations. Furthermore, this would mean that you constantly need to be on the lookout for the lodging that allows pets and you will be surprised to know that in some regions of the world, this feature is a rare commodity. Instead, look for someone to take care of your pet while you’re away and spare both you and your pet from all this trouble. A lot of people change their lifestyle without ever changing their mindset. This is something that can cause a no small amount of discomfort, even permanently damage their mental health. In order to avoid some of these issues, you need to reject some of the more traditional viewpoints like the idea of a 9-5 workplace, the idea of ‘settling down’ or even the idea of bucket lists. Once you approach your life from a new perspective, you might see just how natural and spontaneous a life of a digital nomad can actually be. Of course, there’s nothing wrong with keeping a backup plan, which is why you might not want to sell all your stuff right away. Instead, deposit them in a storage unit just in case. In the first section, we mentioned the idea of working on the road. Well, apart from having the right terminal, you will need adequate platforms. Here, we’re talking about tools like IM services such as Skype and Viber. For those working on massive projects, collaboration tools are a must. At very least, you need to have a Dropbox. Apart from this, people who prefer traveling abroad could benefit from currency exchange apps and translation apps. Finally, Uber, Yelp, and Airbnb are a must have for every single digital nomad out there. Heading out into the unknown on your own is never a comfortable thought. Luckily, in 2018 it is quite easy to connect people living at your next target location online. Those traveling for business purposes can use these channels of communications for B2B outreach, yet making social contacts with locals can be just as useful. Of course, making friends online is not always the best or the safest practice, yet, it is something that could help out your nomadic lifestyle quite a bit. Some would even go as far as to claim that making friends all over the world is the best thing about being a digital nomad. At the end of the day, combining business and pleasure is always a hard thing to do. In fact, it is the idea to which so many people dedicate their lives to, without any guarantee of success. Needless to say, it is much easier to achieve this as a digital nomad, seeing as how you get a much greater control over your own life and actions. This alone would be reason enough why you should give this lifestyle a try.